During the height of the Zika virus scare last year, as women in Brazil learned that they faced a stark choice of risking a pregnancy that could result in severe birth defects or putting off motherhood altogether, pharmaceutical executives saw a rosier prospect: making millions of dollars off of Americans who want to visit Brazil but who are also afraid of becoming infected with the Zika virus. "If you consider just a portion of the U.S. traveler population, we can conservatively envision a Zika market opportunity exceeding $1 billion,” Inovio Pharmaceuticals’ CEO Joseph Kim told Reuters last year. While it’s normally rare for western drug companies to reap huge profits off of exotic mosquito-borne viruses, Zika is different. Experts have linked Zika to an epidemic in Brazil of microcephaly, a birth defect that causes a shrunken head and intellectual disabilities. 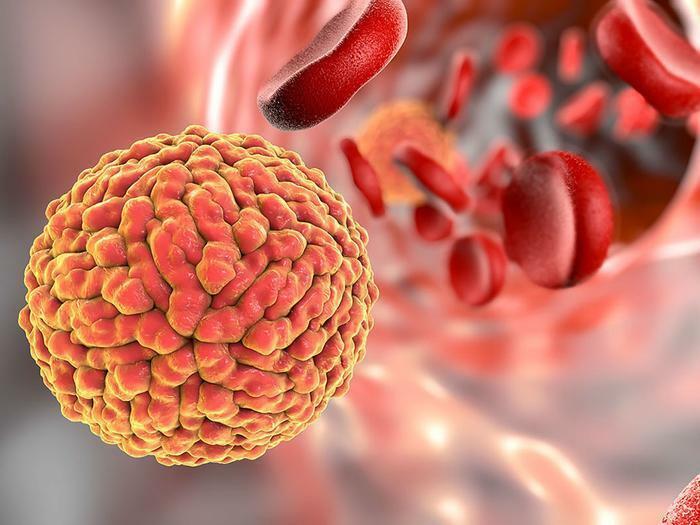 The virus has spread across Central and South America as well as some parts of the United States, leading the World Health Organization last year to declare Zika a global public health crisis. The chance to rescue people from this scary infection could soon fall into the hands of Sanofi, a French drug corporation that is already anticipated to make $900 million by 2020 from its vaccinations for dengue, another mosquito-borne virus. Congress has already authorized the National Institutes of Health to give Sanofi $43 million for the purpose of developing the Zika vaccine. Then, on December 9 last year, the Department of Defense published a notice that initially attracted little attention, announcing its intention to grant Sanofi an exclusive license on patents to develop a Zika vaccine. The exclusive license deal, which the DoD initially gave the public only until December 23 to comment on, ensured that Sanofi could exclude competition and price the vaccinations as they see fit. Such an arrangement has alarmed doctors who help people in developing countries and war-torn regions. In public comments, for which the DoD has now extended the deadline until March of this year, numerous nonprofits and lawmakers raised major red flags about this arrangement. Under United States law, federal agencies can only grant an exclusive license if doing so provides “a reasonable and necessary incentive...[to] promote the invention’s utilization by the public.” Granting an exclusive license to Sanofi wouldn’t follow that law, Doctors Without Borders argues. Several other drugmakers, such as the executive who anticipated $1 billion in profits, have already expressed interest in developing a Zika vaccine. A coalition of four NGOs, along with Doctors Without Borders, all argue in statements to the Army that granting Sanofi an effective monopoly over a Zika cure will not guarantee “utilization by the public.” Rather, they say the deal will hinder innovation. They also raise concerns about price-gouging. “The high price of vaccines is already a key medical and operational challenge for MSF [Doctors Without Borders] and many governments,” the organization says, adding that vaccine prices are dramatically rising in the world's poorest countries. “By 2014 the price to fully vaccinate a child in the poorest countries of the world was 68 times more expensive than it was in 2001." Children in poor and middle-income countries continue to die from vaccine-preventable diseases, the NGO says. Doctors Without Borders also describes a "tragic" decision by the Canadian government to grant an ebola vaccine to a different company. After getting the exclusive license, the drugmaker then stalled on its research. "Despite the fact that the government licensed this vaccine to a U.S. company, NewLink, four years before the West African Ebola outbreak, the project stalled and the vaccine was not made available to people at risk for more than five years." Some lawmakers have also begun questioning how Americans will benefit from an exclusive deal with a single drugmaker, especially since Americans have already invested $40 million into the deal via their tax dollars. Eleven members of Congress, all House Democrats, last month signed an open letter to the Army that voices their objections to granting Sanofi an exclusive patent. Should the DoD grant Sanofi an exclusive license anyway, the lawmakers ask that the Army at least impose price controls and stipulations that the federal government can intervene if Sanofi does not make the vaccine accessible to the general public. Senator Bernie Sanders also joined the small but vocal voice of opposition last week, pointing out in a New York Times op-ed that other pharmaceutical companies have also benefited from contracts with the United States government only to then turn around and charge United States customers an enormous amount for the drug developed with taxpayer dollars. He points to the drug Xtandi, a prostate cancer treatment which was developed with taxpayer dollars and now has a list price in the United States of $129,000. In response to the opposition, Sanofi has stated that its license is legitimate and fully within competitive parameters. "There is plenty of competition in the field of Zika and the granting of the exclusive license to Sanofi will not affect other companies working with other technologies. All statutory requirements, including Bayh-Dole Act, will be complied with, where applicable," the corporation told ConsumerAffairs.